High-precision micro-ohm measuring systems with adjustable DC test current for determining resistances on circuit breakers or inductive loads such as transformers, for example. The high-precision ohm meters of the PROMET series are used to determine very low electrical resistances in the µΩ range. 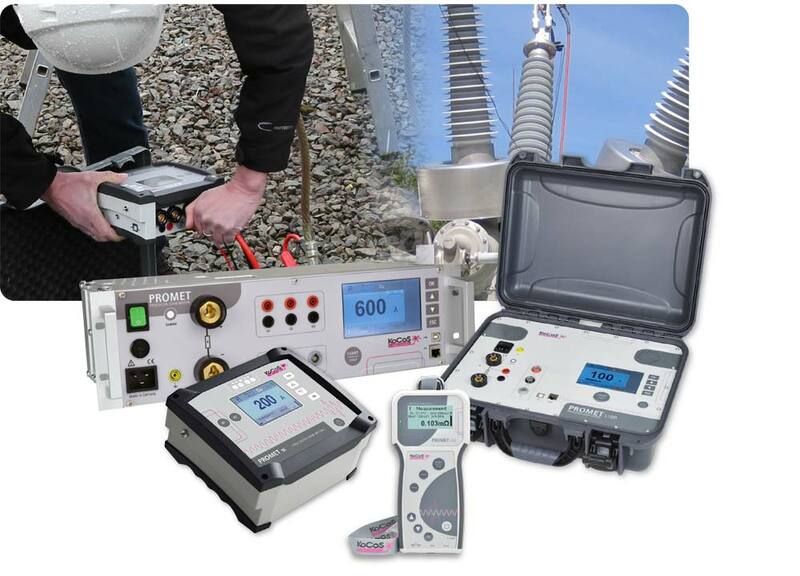 The adjustable test current of up to 600 A in combination with a four-wire measuring method delivers measurement results which meet stringent accuracy requirements. State-of-the-art power electronics coupled with a robust design guarantee excellent reliability for use as a portable device in switching stations and industrial environments. Typical applications include determining the contact resistance of switchgear devices and determining the resistance on inductive loads such as transformers.